Piers Morgan's high-profile evening show on CNN is to end after three years of failing ratings. 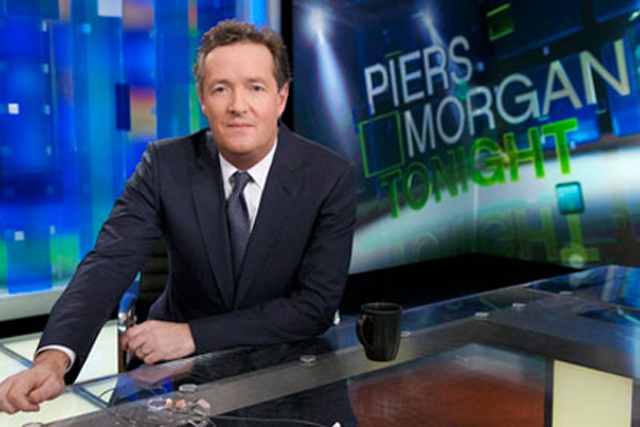 Morgan took over from CNN's long-time evening presenter Larry King in 2011, but 'Piers Morgan Tonight' has struggled to reverse the channel's declining ratings for the crucial 9pm time slot. A spokesman for CNN said: "CNN confirms that 'Piers Morgan Live' is ending. The date of the final program is still to be determined." In an interview with The New York Times, published yesterday, Morgan said he and CNN's president, Jeffery Zucker, had decided to pull the plug on the show, which would probably end in March. Morgan said: " It's been a painful period and lately we have taken a bath in the ratings", but added that he and Zucker had been "talking for some time about different ways of using me". Earlier this month, it emerged that Morgan, who is a former editor of the Daily Mirror and the News of the World, was questioned under caution over phone-hacking allegations at the end of 2013.